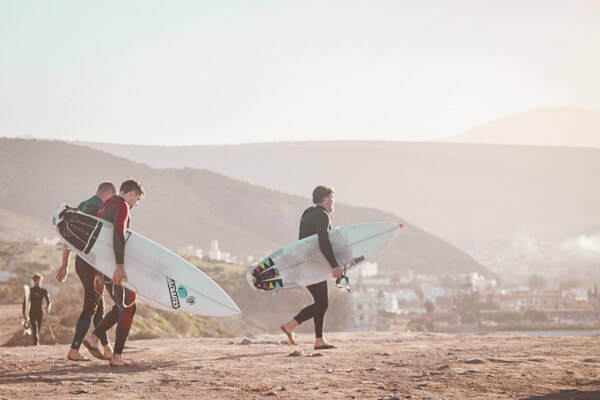 Suitable for upper intermediate to advanced surfers, we give you the chance to explore and experience the world-class waves along the endless Moroccan coastline. Our surf guides take you to a selection of the best point breaks and reef breaks in the area, searching for the best wave of the day, every day! With dominant North-Westerly swells from the Atlantic, the Moroccan coastline lights up and becomes a surf magnet. During the winter surfing period (Oct - Feb), you'll get the chance to enjoy world-famous waves on your doorstep! If you're looking to experience speedy right/left handers, firing point and reef breaks, endless barrels and pumping overhead swells, you've come to the right place!